Ostrem Tool Company is a leading manufacturer of round shank solid carbide cutting tools manufactured to the highest quality for the metalworking, automotive, and aerospace industries. At Ostrem, our reputation is our most valuable asset. In the real world of high-tech machining and space-age alloys, it is important to partner with a “Quality” carbide tool manufacturer. 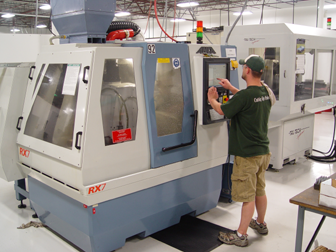 Our new 36,000 square foot facility contains state-of-the-art CNC grinding equipment to ensure us the capability to meet both high and low volume orders with efficiency. Our commitment to quality and reliability is the cornerstone of our success and has been since 1989. We pride ourselves as being an innovator in the development of functionally superior carbide tooling. The Mission of Ostrem Tool Company is to continue to invest in the people, technology, and resources that enable us to provide world-class, solid carbide cutting tools for your most demanding applications.